Debt Payoff Visual- Debt Thermometer PDF Chart. One of the key parts of successfully paying off debt is staying motivated during your journey toward a debt free life. It can be hard at times, especially when unexpected expenses occur, and you may feel like you’ll be paying off debt forever. That’s when you need a visual motivational aid like a debt thermometer! 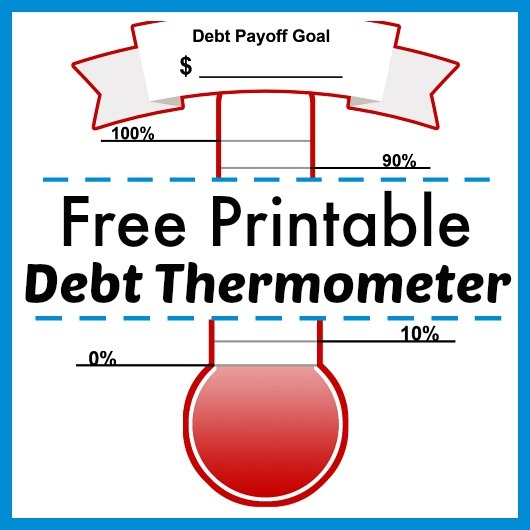 To help you visualize just how close you are to being debt free, here is a Free Printable Debt Thermometer! 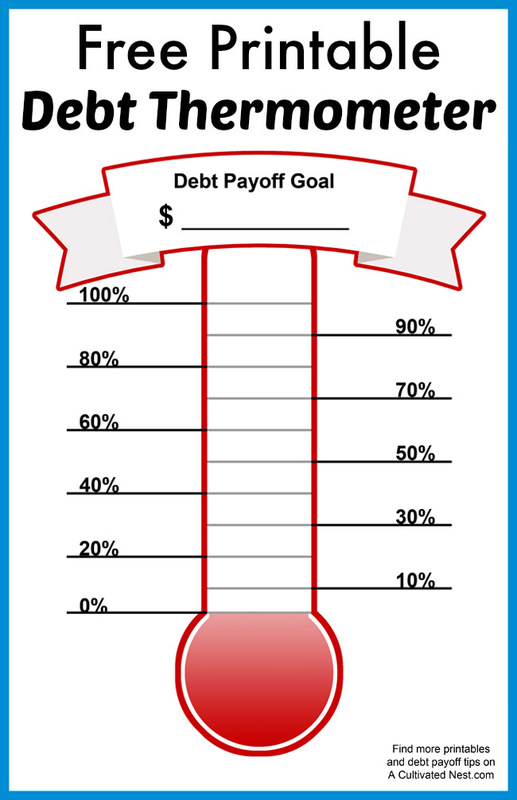 You can use this printable debt thermometer however you like. It could represent debt from a single source, or all of your debt combined. 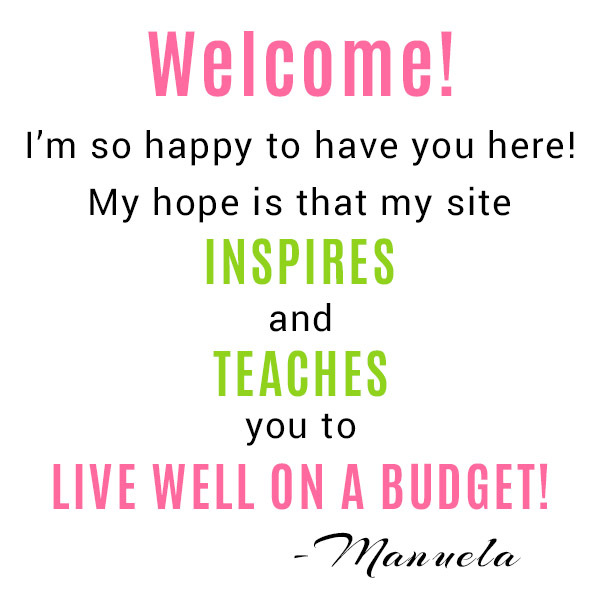 The point is that it helps you see just how much you have already accomplished in your attempts to become debt free. Put it somewhere that you can see it every day to inspire you. 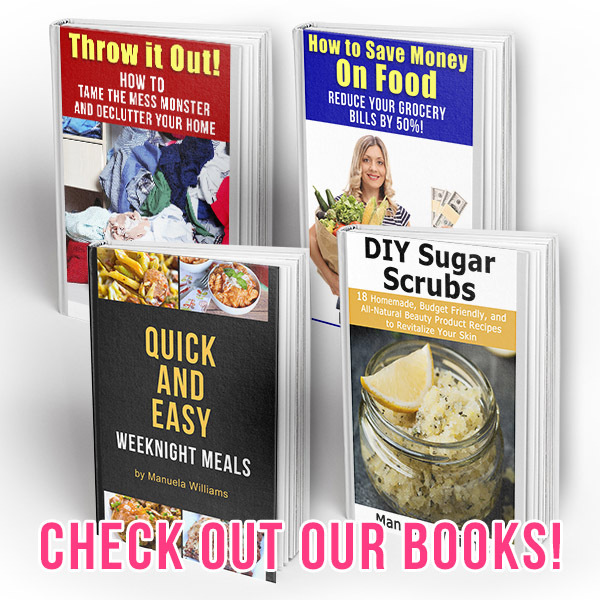 If you’re often tempted by online shopping, next to your computer may be a good place! I’ve made this Dave Ramsey inspired debt thermometer so that you can track your debt progress in 10% increments. You can wait until you hit the next increment to color in the thermometer, or you can color it in bit by bit as you get closer to the next 10% mark. You can use red to color it in, or a variety of different colors just for fun! If you’re just starting your debt payment journey, this should help keep you motivated to get to the very top. Because imagine how excited you’ll be when you see that you’ve shaded the thermometer all the way to 90%! Then you’ll only be 10% away from paying off that source of debt, or maybe becoming completely debt free! 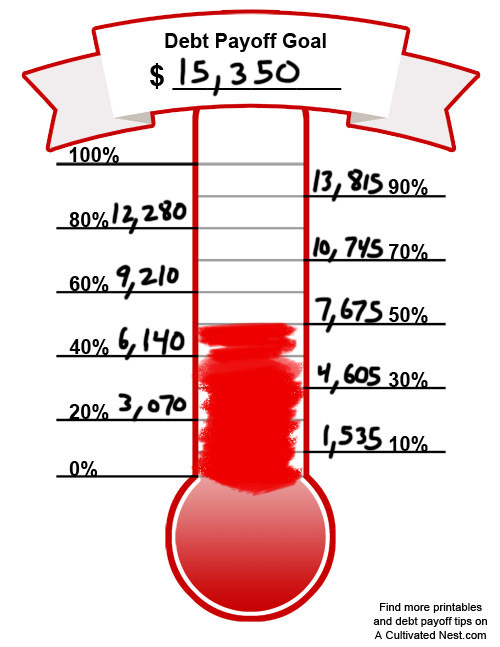 To double the effects of this printable debt thermometer, you may want to give yourself a reward at each 10% interval. Ideally it’d be something free, like a nice soak in a hot bath with a good book. Or maybe a day trip to see a pretty part of your city. You might even find a free event you could visit! Stay motivated, and you’ll be able to pay off your debt with no trouble! Want to finally get your family’s finances in order? 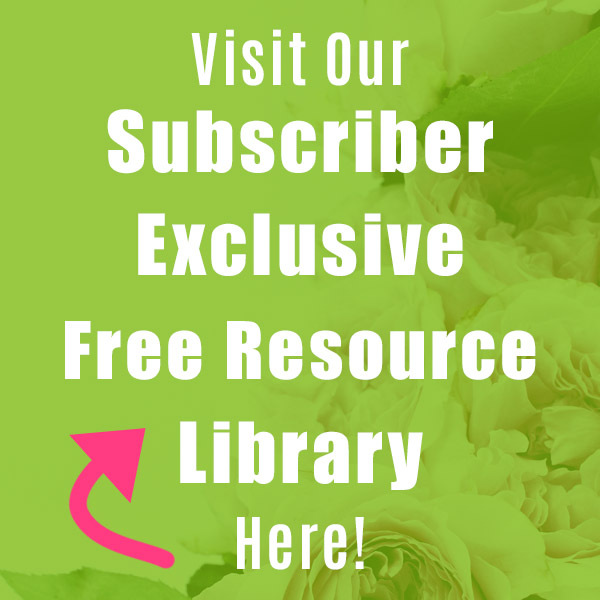 Click here to get our printable floral budget binder! 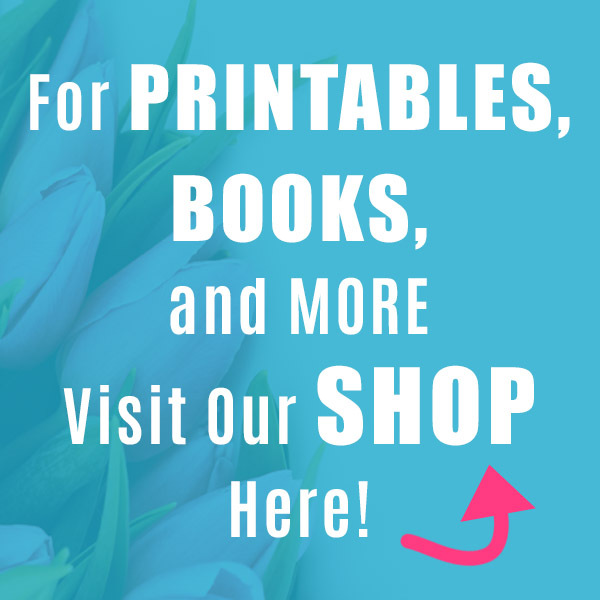 It contains 25+ printables (including covers and tabs)! 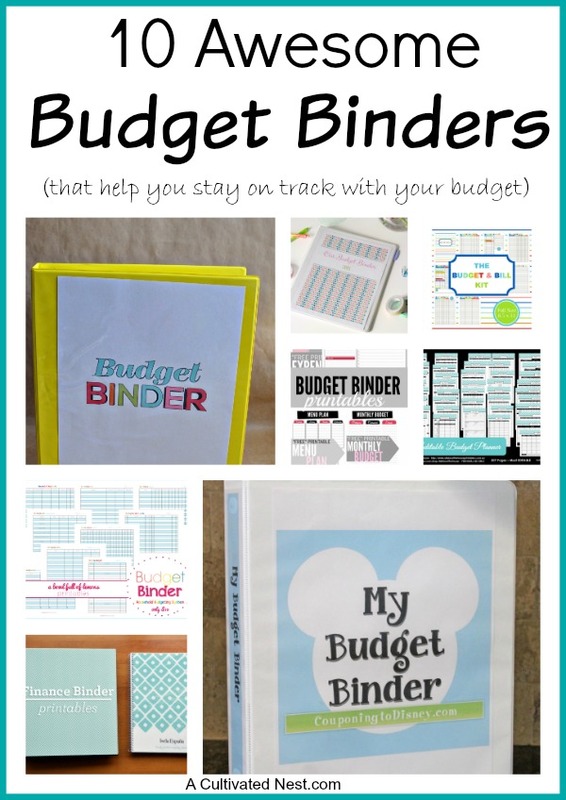 Have you ever used a visual aid to keep you motivated during your debt repayment?